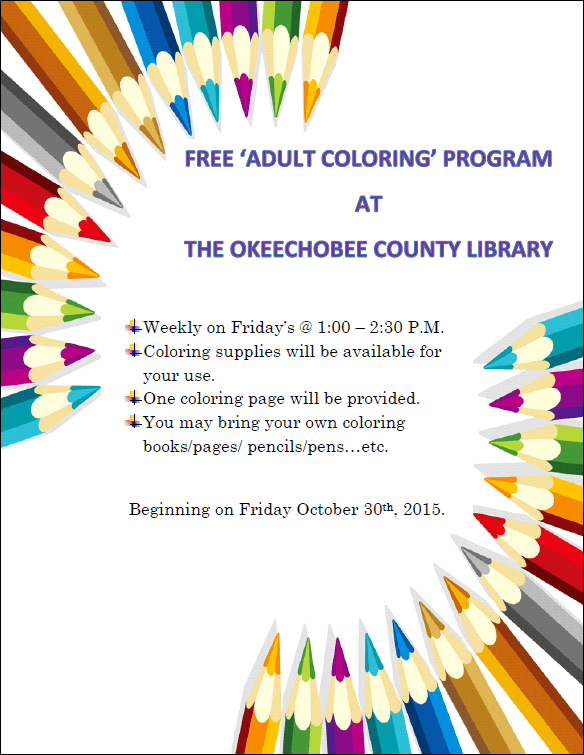 Join us at the library for adult coloring. Relax, reduce stress and have fun. 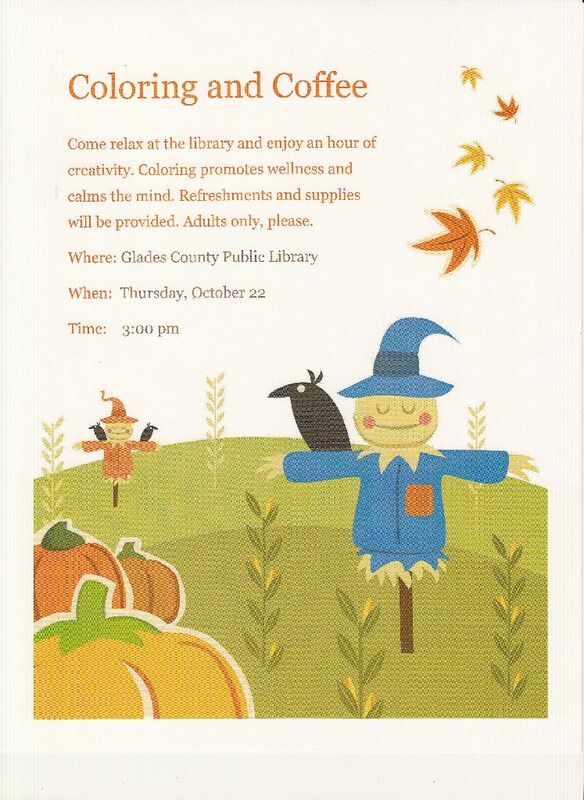 Click the poster below for more details about your the program at your library.